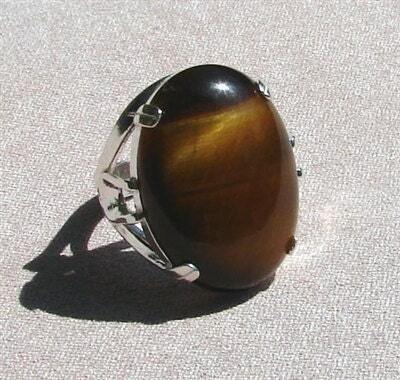 Sterling Silver setting embraces a beautiful golden Tigers Eye cabochon . Cabochon measures 18mm by 25mm long . This ring comes in sizes 8 - 10 and 11 only .